"What really happened during the Footstamp Operation?!" 2112; the summer before Akane Tsunemori was assigned to Division One of the Public Safety Bureau's Criminal Investigation Department. Teppei Sugo, an accomplished pilot of the Defense Army's 15th Integrated Task Force, joins the military operation in Okinawa. Three months later, an unmanned combat drone opens fire on the Ministry of Defense in Tokyo. 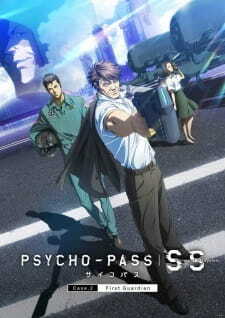 Enforcer Tomomi Masaoka of CID Division One is dispatched to Sugo's military base to investigate the truth behind this case.